Holocaust history and related tolerance concepts can be difficult and complex for students to discuss. The following guidelines offer some suggestions to help prepare for a respectful and sensitive discussion on the Holocaust. 1. Avoid overgeneralizations and simplistic comparisons. 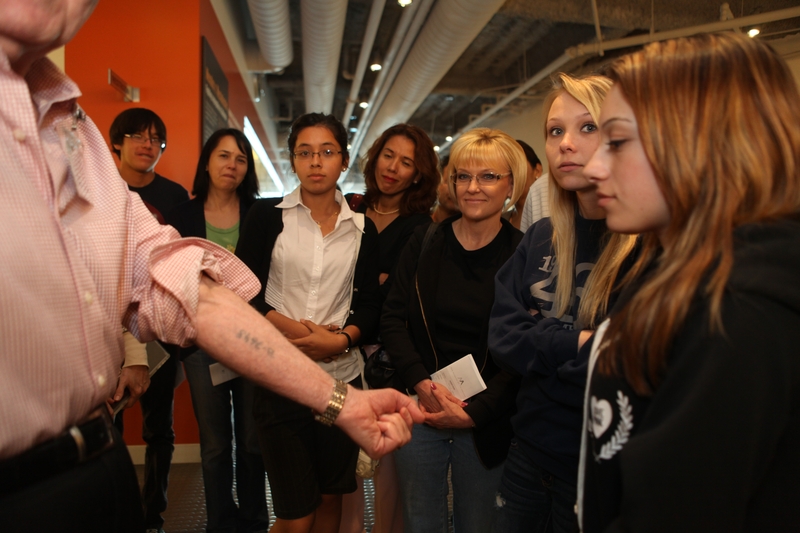 Encourage students to move beyond simple answers to the complex questions of the Holocaust. Be careful not to stereotype groups of people, for example as victims or perpetrators. When discussing the broad topic of genocide, take heed of the unique facts and circumstances of each historical incident. 2. Use precise and appropriate language. Define terms used and discuss their meaning in the context of your lessons. 3. Help students personalize history by connecting faces and stories to the statistics. Look at particular examples of individual Holocaust victims, both Jewish and non-Jewish, in literature, historical texts. Explore resistance to the Nazis and the emergence of heroes. 4. Select your resources carefully and guide your students to think critically about the sources they find. Utilize both primary and secondary source materials. Be aware of Holocaust revisionism. When possible, arrange for Survivors to speak to your students.